After a blog post penned by an Instacart shopper about a 69-minute delivery trip that earned him just 80 cents went viral and cooked conversations on various media outlets, Instacart has said it'll roll out a $3 batch minimum pay for its drivers, while admitting a blunder regarding the 80 cents fee for an anonymous Instacart driver, Tom, who was paid that after a $10 customer tip. But the company is denying claims that it lowers the amount in pays out to its shoppers when customers tip more, with CFO & COO Ravi Gupta dubbing Tom's situation as an “edge case” in a statement to Fast Company. Tom shared his story with labor advocacy organization Working Washington, which has already instituted a campaign to get Instacart to increase its direct payments to workers regardless of tip amounts. 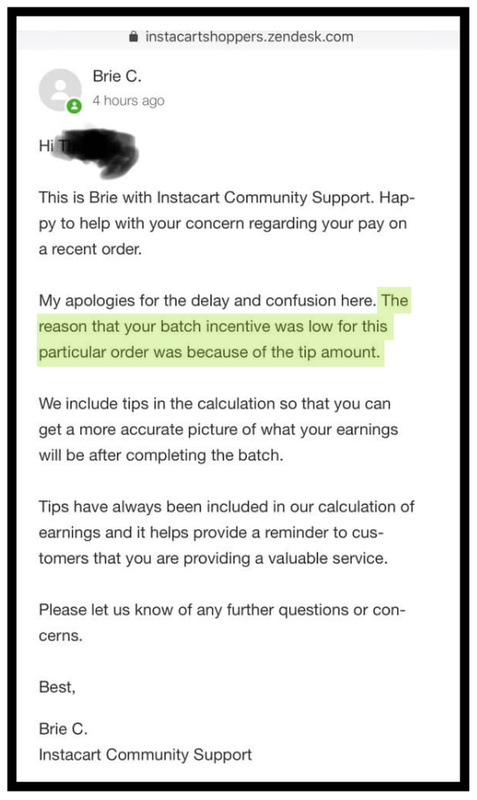 As seen in the picture above, an e-mail from an Instacart "community support" representative identified the greater tip amount as the reason for the payment being as low as 80 cents for Tom. Stating of an “edge case”, San Francisco headquartered Instacart hasn't explained what went wrong in parsing Tom's 80-cent fee. Instacart changed its pay structure in November, from a flat fee based model to a dynamic one it claims provides "more transparency and consistency" for orders. But shoppers have reported lower wages after the change. The introduction of a minimum fee is a step-back from this model for Instacart which spent most of 2018 developing and testing it in various markets. 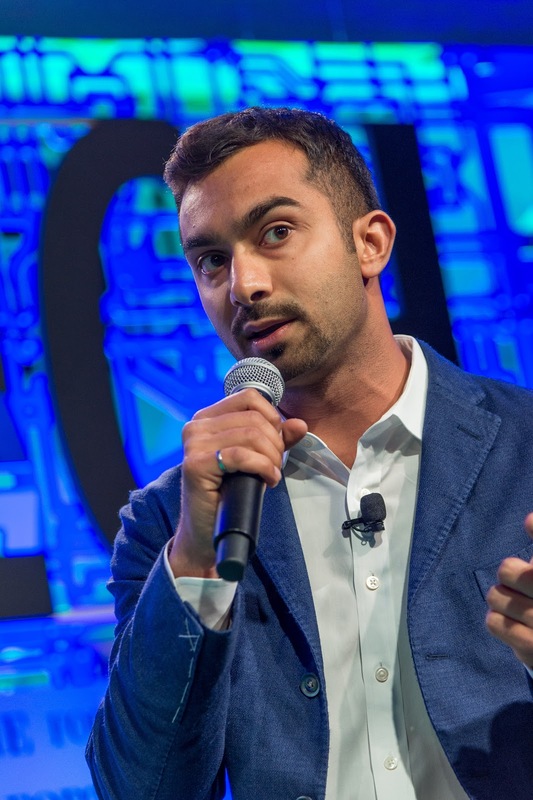 Instacart, a leader in the online grocery delivery market, was launched in 2012 by former Amazon employee Apoorva Mehta who still serves as its CEO. The company which operates in the U.S. and Canada has raised $1.9 billion in funding according to Crunchbase, with a $7.6 billion valuation from an October investment.